I’ve asked some of my favorite bloggers to guest blog and provide us with some of their favorite creative and affordable marketing tips. 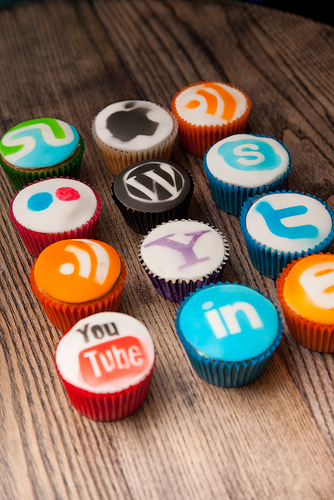 Check out what Karen Hendricks has to say about making the most of your social media platforms. 1. Facebook Facelift: Give your business or organization a fresh look on Facebook by uploading a new top image. This is a great rule of thumb to follow at least once per quarter or season. This instantly sets the tone on your account as a current, relevant source of information. According to a study by Vocus, Facebook fans are a brand’s most valuable customers, with 79% of your fans more likely to purchase your products/services as compared to non-Facebook fans… so give them a fresh “face” atop your latest content. Remember the dimensions for Facebook’s cover image are 851 x 315 pixels. 4. Add Polish with Pinterest: Last summer, Mashable reported that Pinterest users were following more brands than Facebook or Twitter users. I think the main reason why boils down to Pinterest’s focus on images. It’s easier to “see” what you like rather than “read” about your favorite brands, causes or businesses. If you haven’t yet created a Pinterest account for your business or organization—or if you haven’t added new content recently, polish your image with a free Pinterest account. Make sure plenty of your pins link back to your core marketing presence, your website, to ultimately drive traffic to your doorstep. If you aren’t currently using an email marketing service, consider the following: one of the gold standards in the industry, Constant Contact offers a free 60-day trial period that’s especially helpful for small businesses since the initial free contact list is limited to 100 or fewer contacts. Otherwise, paid accounts on Constant Contact will not break your bottom line, and non-profits receive a 15% discount Additional budget-friendly options include Vertical Response, which has a free option for all 501 (c)(3) organizations, and Mad Mimi which offers a free base email program for up to 2,500 contacts and up to 12,500 emails per month. Make sure to dust off your writing skills as well — 64% of email recipients say they open an email because of the subject line. Karen Hendricks, President/Owner of Hendricks Communications, focuses on public relations, marketing and freelance writing/photography. Learn more at HendricksCommunications.com and follow her on Twitter @karenhendricks9. If you’re going to build a presence on social media, it really helps to have a savvy graphic designer and a YouTube video producer on board, because these branding elements are becoming increasingly prominent on the major channels. Earlier this year, Facebook created the “Cover Image” requirement. Not too long ago, Twitter introduced a similar “cover image” option. Now LinkedIn presents one, too! Of course, all these images are different sizes and appear in different contexts, so they all require different graphic design approaches. As you know, we help clients build and update their LinkedIn Company profiles. At Fletcher Prince, we believe it’s vital for every company, association and nonprofit to build a robust presence on LinkedIn, the world’s largest professional online network. LinkedIn has more than 175 million members in over 200 countries. 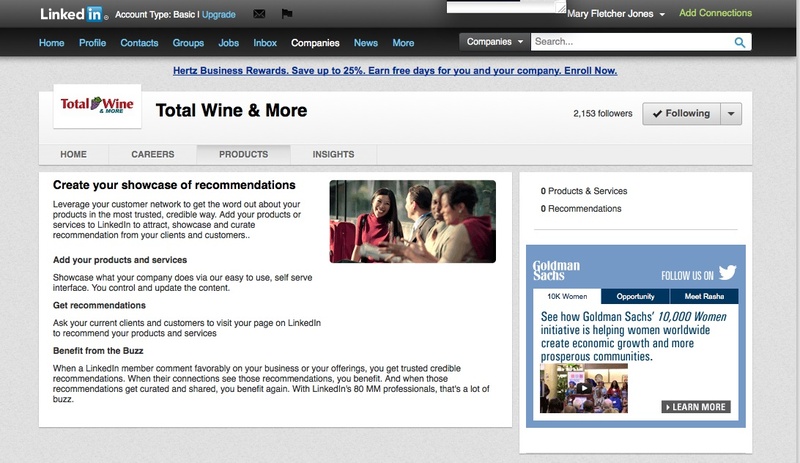 In 2012, LinkedIn users will conduct more than 5 billion professional searches. LinkedIn has made some changes to the look of LinkedIn Company profiles, so I wanted to let you know about these changes. 1. Cover images. One important feature is that Company Pages now offer a “cover-image” style rectangular image to show off your brand. That’s especially nice on this platform because the two logo images you are required to provide for a Company Page are quite small, and it is a design challenge to make them appear legible, for some brands. Here’s how a LinkedIn Company Page looks without a cover image. Like a department store window with nothing in it — a missed opportunity! 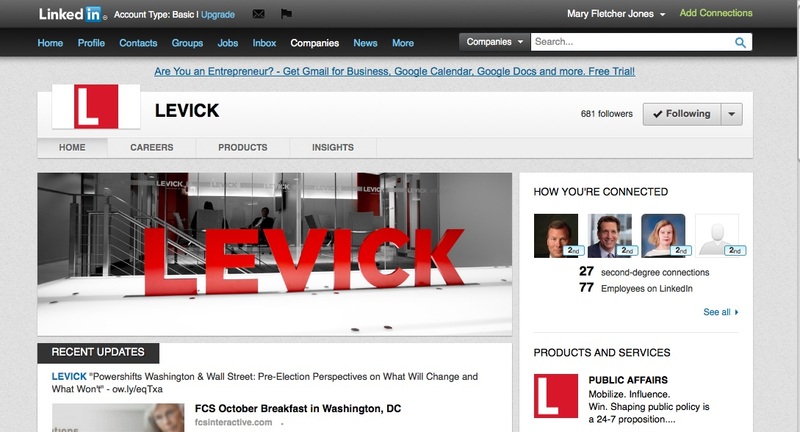 And here’s how a LinkedIn Company Page looks tricked out with a new image — much better! 2. Company Status Updates. Just as you can update your Twitter profile or Facebook profile, LinkedIn Company Pages now allow you to update your Page with a short message, which can include a link. The posts can be up to 500 characters (including spaces). Up to 20 status updates will be active at a time. LinkedIn users and followers can “like” your status update when they see it on the stream on their home pages or when they visit your Company Page. Yes, you now have another task to add to your social media “to-do” list! Aim to update your Company Page with status updates several times a week, at the beginning and end of the work day during the work week, when people tend to check in to LinkedIn. As elsewhere, the updates should be short, relevant, timely, and useful. And don’t post every hour. If you post an excessive amount of status updates, your Page may be deleted. You can use status updates to post news about your company, job openings, industry news, press releases, blog posts, etc. Build power in the update by including a link and call to action. Stand out on LinkedIn by posting YouTube video links and drive more traffic to your company videos. Now this is where you are really going to need to update your LinkedIn Company Page “profile” images to something quite legible — which for most of you is going to mean a logo design service. That’s because these Company Status Updates will appear in the stream and your logo will appear right alongside it. So these logos are more prominent than ever on the “new” LinkedIn. Don’t try to make an existing logo fit in each of these custom dimensions. It just won’t work. But when you complete the Products section, and add video, then your video appears in that space, and the advertisement is bumped down “below the fold.” So, it looks better, like this! This is the perfect location for product-service videos, brief customer testimonial videos, and case-study style videos, all of which you should have on your YouTube Channel, anyway. In fact, to take full advantage of LinkedIn Company Pages, your company is going to need a fully-operational YouTube Channel, so talk to us about making that happen for you, if you haven’t started yet. Fully complete each available section with text and links. Engage a graphic designer to design LinkedIn-specific elements. You will need logo images in two sizes, a cover image, three hyper-linked banner images, and thumbnail images for each product and service. 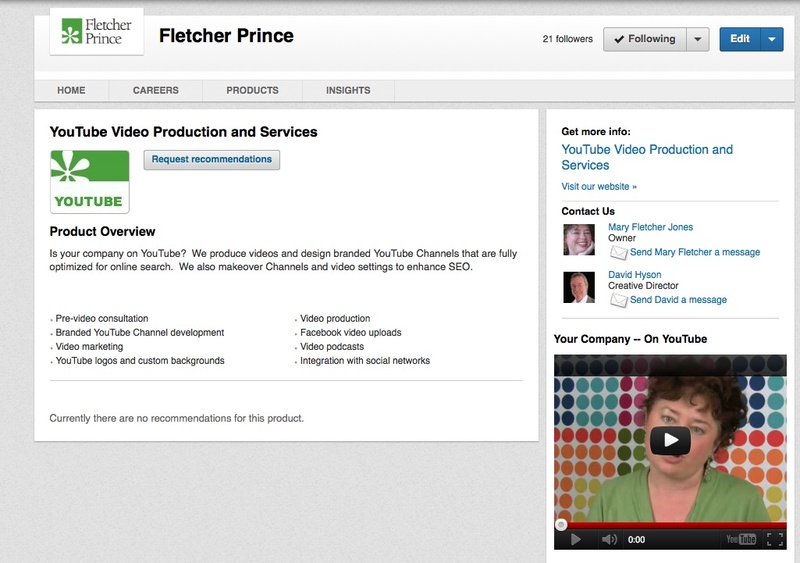 Include (or ask us to produce) a YouTube video for each available section. Let visitors see your brand first, not someone else’s advertisement. Encourage your employees to follow your LinkedIn Company Page by marketing it internally (ask us how). 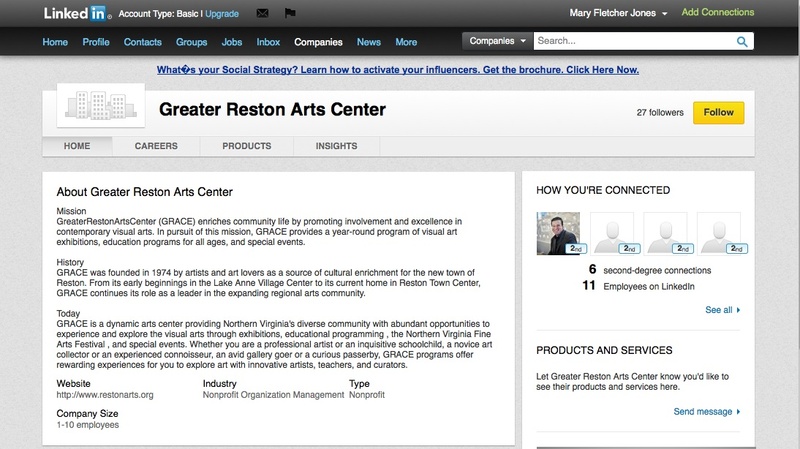 Add a LinkedIn Company Page “Follow” button to your company website. With my writing skills and social media experience, and David’s graphic design and photography skills, and our combined video production capabilities, we can make your LinkedIn Company Page a stand-out online marketing channel — worthy of your company’s or nonprofit’s reputation — for an affordable, fixed fee. David and I have 28 LinkedIn recommendations for our work. Please contact Mary@FletcherPrince.com or call (571) 269-7559 to schedule an appointment to discuss how we can help you build and update your LinkedIn Company Page. Tuesday, October 2 The informative conference Digital East takes place in Herndon, VA today and tomorrow. There are a dozen registrations left for $375 each. Wednesday, October 3 The first Presidential debate between President Obama and Republican nominee Mitt Romney airs tonight. If you choose to post to Twitter, keep your tweets topical this evening. All the debates this month will be aired live on YouTube. Monday, October 8 Columbus Day is a federal holiday, kids will be out of school, and people will be online in numbers. This is a great time to reach out to your Facebook Page followers. Today is the last day of the George Bellows exhibit at the National Gallery of Art. See it before it leaves! This is also Fire Prevention Week. Use the Twitter hashtag #FPW. This would be an excellent time to remind your followers to check the operation of smoke alarms and hold home and office fire drills. Tuesday, October 9 Learn how to pitch the reporters at the Washington Business Journal at their Power Breakfast and presentation today at 8:30 a.m. Register for $25. Wednesday, October 10 Wish Fletcher Prince’s David Hyson a Happy Birthday today on his Facebook profile. Thursday, October 11 The Vice Presidential debate airs tonight at 9 pm. Tuesday, October 16 Wish Happy Birthday to social media sweetie Meghan McMahon, aka @Meggiepoo on Twitter. Today is also Boss’s Day. I wouldn’t forget that one if I were you! 🙂 Send a card around the office to sign, and treat your boss to lunch. Wednesday, October 17 Join your Fletcher Prince friends for networking and a lunch of authentic German fare at Cafe Mozart in Washington, DC. Cost of lunch is on your own. Register here. Thursday, October 18 Every ad agency account executive has a story to tell, and not all of them are pretty. Attend Ad2DC’s MadMemoirs – Horror Stories from Behind Agency Walls and vote for your favorite tonight at 6:30 pm at Bus Boys and Poets ($15). 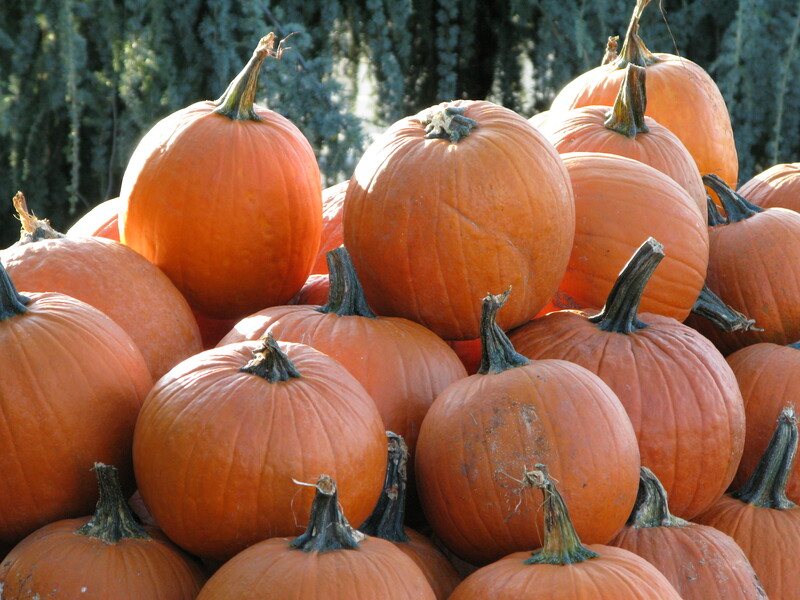 Saturday, October 20 Step back into 1771 and check out the 18th century Market Fair today and tomorrow at Claude Moore Colonial Farm in McLean, VA. $6 adults, $4.50 for AAA members, $3 children. 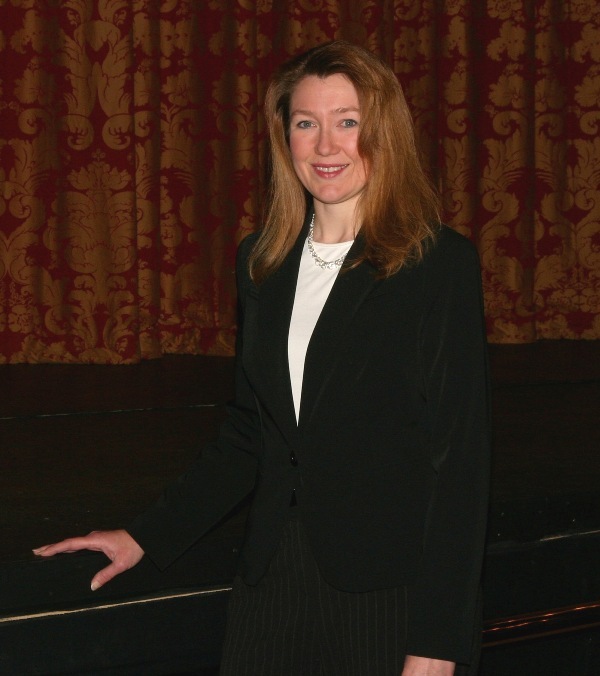 Monday, October 22 Wish Happy Birthday to Ascend Communication’s principal Lorelei Harloe! The third Presidential debate airs tonight at 9 pm (also on YouTube). Tuesday, October 24 Learn how to leverage LinkedIn for your business and networking at this Reston Chamber of Commerce event, 8:30 a.m., $10. Register here. The Town of Vienna presents its 66th annual Halloween Parade today at 7 p.m. The Washington Ballet presents Dracula at the Kennedy Center, tonight through November 4. Thursday, October 25 The DC chapter of the American Marketing Association celebrates its 80th anniversary and recognizes the Top Marketer at a gala this evening. The Prince William Chamber of Commerce holds its B2B and B2C trade show 2012 Connections from 4 pm to 7 pm today. Admission, parking and food are free. Friday, October 26 Wish Happy Birthday to U.S. Secretary of State, Hillary Clinton. Monday, October 29 The Hunter Moon rises tonight. Wednesday, October 31 Happy Halloween! Bling out your Twitter and Facebook profile photos with Halloween themed logos. If you’re downtown today, check out the exterior Halloween decorations at the White House. Today is also Dan Rather’s birthday. Follow @DanRatherReport on Twitter. 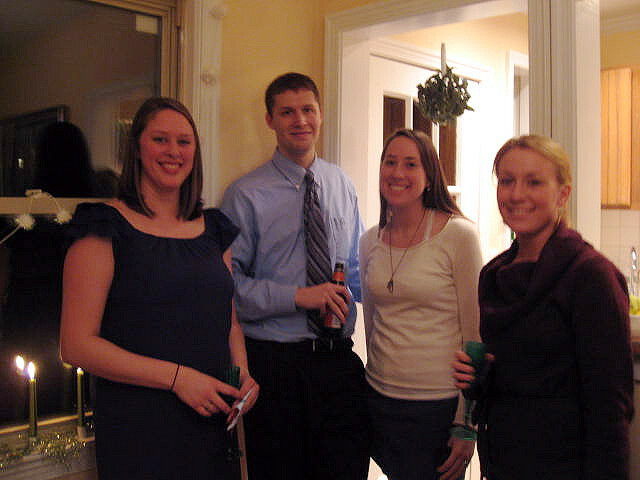 Inviting your summer interns back for the company holiday party is another nice way to say thank you to your interns. We still have a bit of summer left, but it won’t be long before your public relations interns are packing up and heading back to college, or moving on to their first jobs. Hopefully, your company has given them real-life experiences, coaching, and the hourly pay they are entitled to for bringing value to your firm. If you handled the internship well, the interns will leave with a favorable impression of your company and will go on to be brand ambassadors. But did your intern go the extra mile? Are you especially glad you hired her or him? If so, before the internship ends, now is the time to think about the ways you can say thank you to your public relations interns, while giving them a good start on their public relations careers. Here are some suggestions for ways to thank and help your interns before their internship ends. 1. Schedule a meeting with the intern, about a week or two before their last day. Give them notice of it now, so they can prepare. You can explain that at this meeting you will discuss and assess their work, provide advice, review their work samples, and hear how their internship experience went for them. I asked my interns to write a brief summary of their internship experience before this meeting for me. This helps the intern organize work samples for her or his portfolio, and gives you information to tackle their recommendation letter. 2. Write a LinkedIn recommendation. Your recommendation may be the first one they receive, so it is especially meaningful. It should be brief and honest, but specific. Think of three projects the intern worked on, and their contribution. Mention a few personal qualities that make this intern desirable as an employee. 3. Write a letter of recommendation. A letter of recommendation you provide on company letterhead is important for a few reasons. First of all, not every employer is on LinkedIn (gasp!). Also, it’s helpful to have a paper copy of a recommendation for the intern’s portfolio, and the letterhead and signature lend authenticity. In addition, if the intern goes on to another internship, some applications require at least one letter of recommendation. 4. Offer to review their updated portfolio and resume. At this point, the intern should have work samples, a fair idea of their contributions to the firm, and a letter of recommendation (before their last day). They can now update their resume with their internship experience. Review their updated resume and portfolio with them and explain how to make the most of these assets in a job interview. 5. Schedule a farewell meeting with a top executive. Before the intern leaves, speak to your top executive about having a brief meeting with you and the intern. The executive should be informed about the contributions the intern made before the meeting. You should also coach the intern on basic business protocol before the meeting. This is an opportunity for the top executive to thank the intern and impart any quick words of advice, and the chance for the intern to also say thank you and collect a memory for a lifetime. Don’t forget to bring a camera! 6. Connect through social media. If you haven’t had this discussion, now may be a good time to explain the business etiquette of social media. For example, interns and supervisors do not usually connect on Facebook. However, you can safely encourage the intern to connect with you on LinkedIn, and you can offer to review their LinkedIn profile and make recommendations. You can also encourage your intern to “Like” the company Facebook Page, subscribe to the company YouTube Channel, and follow the company blog and Twitter account. 7. Take some photos. I mentioned taking a photo with the chief executive but make sure you also snap a few pictures (with your camera or the intern’s) of them sitting at their desk, posed with employees in the office, in front of the building, at their farewell lunch, working on a project, and even of work samples. Email them the digital files. These photos really come in handy for updating social media profiles and for use in job interviews, and they will become a treasured memento for the interns. 8. 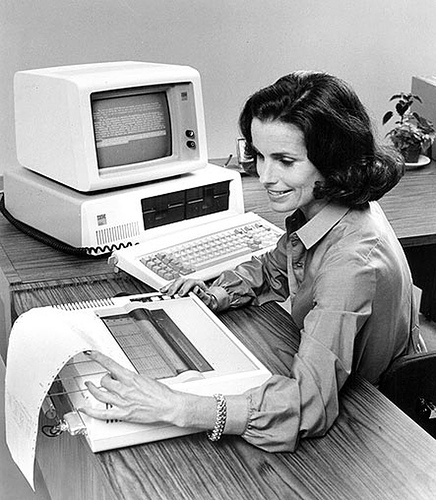 Ask the intern to write an article about their internship experience for the company blog. The summary they wrote for you (in tip #1) and the photos (in tip #7) will make for a meaningful blog post that will make the whole company feel good, and will encourage quality interns to apply for your next internship offering. 9. Write a brief thank you note (handwritten) on your personal stationery or a card. Yes, you will have already written the letter of recommendation on company letterhead. But that is directed to a future employer. You should also thank the intern personally. This is another item that will become a memento for the intern. If you give the intern this note a week in advance (say, at the end of the day on the Friday before their last week), it may also prompt him or her to write a thank you note to you, which is great business etiquette training. 10. Provide a parting gift. What you give the intern as a parting present depends on your budget, their contribution, and how many interns you have. If you have a small budget, you might gift them with some company imprinted items you have on hand, or a business card case. But if the intern was really outstanding, and your company has the budget, one especially significant gift is to give them their first professional membership. Professional associations usually discount their membership fees for young professionals. So, if you would like to do this, you can discuss the options with your intern, have them complete the membership application, and then issue a check to the organization for their first year of membership. Some suggestions: Washington Women in Public Relations ($40 for college students, $85 for regular membership) or the Public Relations Society of America ($155 for applicants with two or less years of experience). What ways have you found to thank your public relations interns? 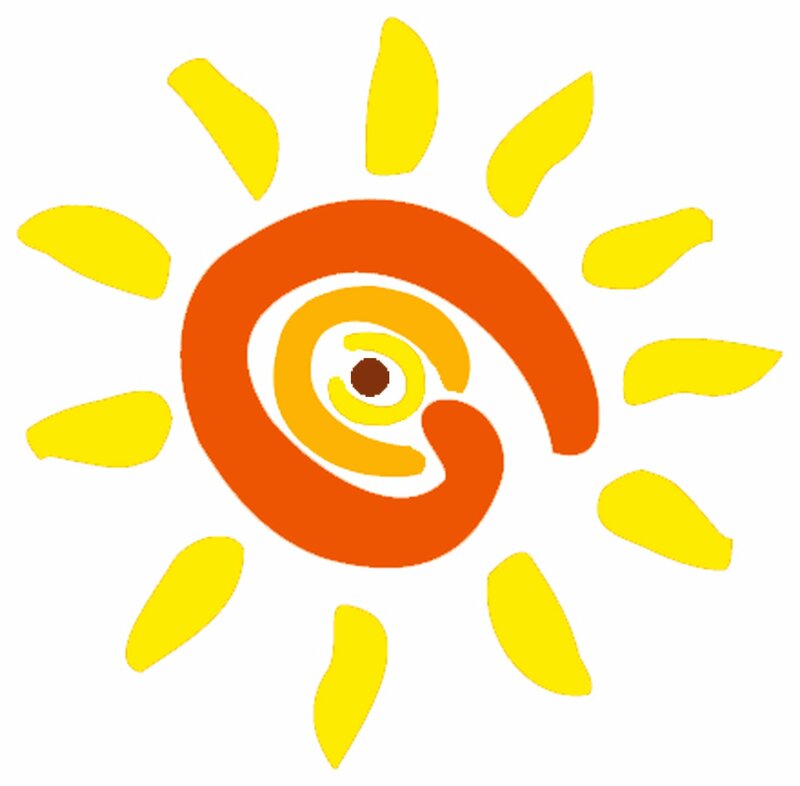 Rosemarie Esposito wrote a terrific post last week on ways to keep yourself busy and productive during the notoriously slow summer months when you work in public relations. Some of her recommendations included taking clients out to lunch, blogging, and organizing contact lists. 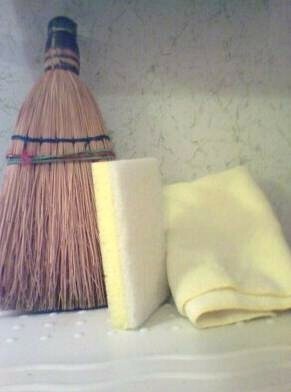 Check out her blog post to see all her suggestions. Draft an editorial calendar for the rest of the year — for your blog posts, social media updates, YouTube videos, Pinterest boards. Sure, you can’t plan everything in advance, but an editorial calendar will give you a terrific head start, if you aren’t using one already. Create a Twitter list of media contacts that you hope to cultivate. Write a LinkedIn recommendation for a vendor, intern, or volunteer committee colleague. Record a YouTube video. There’s no better time to record video than in the summer — when you’re feeling relaxed, looking great, and probably not congested with a head cold! Take candid photographs around the office and create Facebook Page albums. Write case studies to share on the client work section of your website. Create a presentation related to your area of expertise — with a PowerPoint presentation that you can upload to SlideShare. It’s nice to have a presentation in the wings in case you are asked to fill in last minute for a cancelled speaker — I’ve been asked to do this. Plan your winter holiday communications — it’s never too early, and now is the best time when you’re not harried and overworked. Some people get their holiday shopping done before Labor Day and some people plan their holiday events, video greetings, and mailed cards early. Fletcher Prince can design your holiday print card or e-card, and we are known for our holiday greeting videos. Submit an award nomination. Washington Women in Public Relations is accepting nominations for Washington PR Woman of the Year. Get a head start on your company’s annual report. We’re halfway through the year. If you start on it now, and save the draft, it will be that much easier to complete at the end of the year. Now, that should keep you busy for a while! 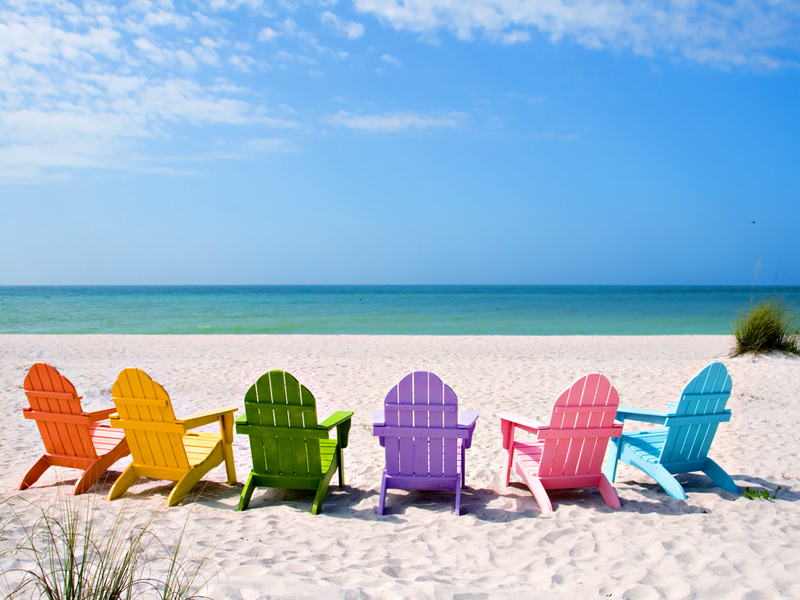 Whether you’re working or taking some time off, I hope you have a fun and relaxing summer! You ever open your closet and think: oh, god, I hate ALL my clothes! Who among us couldn’t benefit from updating our look? Or even a makeover? You’d still be the same person inside, but the packaging. Ah. Packaging is powerful. Wait a minute, are we talking about clothes or marketing? Well, maybe there are similarities. Just like you need to have a fantastic “networking” outfit that makes you feel like you can do anything, you also need to have a website that reflects your success. You need the basic pieces, but you also need accessories to bring life to those pieces and show your individuality. Get the idea? Same concepts apply to your business…or nonprofit. These are the basics you need to have in your marketing closet. Most clients I see who do not have all the basic elements they need in place. That, or they could benefit from refining those vehicles. We did a lot of “makeovers” in 2011 and expect to do even more in 2012, as clients resume their goals for positioning themselves competitively in the gradually improving economy. A marketing audit and plan for your business ($1500). A suite of professionally designed logos ($1500) in various sizes for your website, business card, letterhead, and for your business presence on social media sites such as Facebook, Twitter, YouTube, LinkedIn, and Yelp. A public relations kit that includes executive bios, company fact sheet, and launch press release (starting at $500). For proposals, mailings, and speaking engagements, you may also want to invest in a corporate brochure ($1500) and custom presentation folders ($350). Professional headshots and corporate photography ($ call for estimate). At the bare minimum, you will need professionally taken, recent photographs of the principal and top managers, as well as photographs of your company headquarters, signage, products, services in action, staff, and community participation. A website that is searchable and easy to update ($850-$1200) that integrates social media features. A branded YouTube Channel, and at least three videos ($2500 ) YouTube is the third most visited website on the Internet and there is no better way to tell your story than with video. An email marketing plan and calendar of communications. So important, and so easily neglected. Email has been shown to be the most effective form of marketing there is. If you have a B2C business (and even some B2B businesses), it is not optional. Some form of strategically scheduled direct mail outreach ($ call for estimates). The service fees above are for fixed-fee projects are estimates only, based on 2011 published rates, and are subject to change in the new year. Fees do not include affordable printing fees. Results from the Proskauer International Labor & Employment Group Survey were released last month, and describe a global picture of how social networking is being employed — and not — in the workplace. The findings illuminate the risks and need for companies to intelligently address those risks. While 76% of the companies used social networks, such as LinkedIn and Facebook, for business purposes, stunningly, more than 40% of the respondents have reported employee misuse of social networks, and nearly a third have had to impose disciplinary actions on employees. Easy to understand, then, why 29% of companies are actively blocking employee usage of social networking in the workplace and 75% completely or somewhat restrict access to social networks at work for non-business use, and less than a third felt that there was any advantage at all to allowing employees access to social networks for non-business use while at work. Are businesses being proactive, though? Apparently not. 45% of the responding businesses admitted they did not have a social media policy and only 27% monitor employee usage of social media sites.